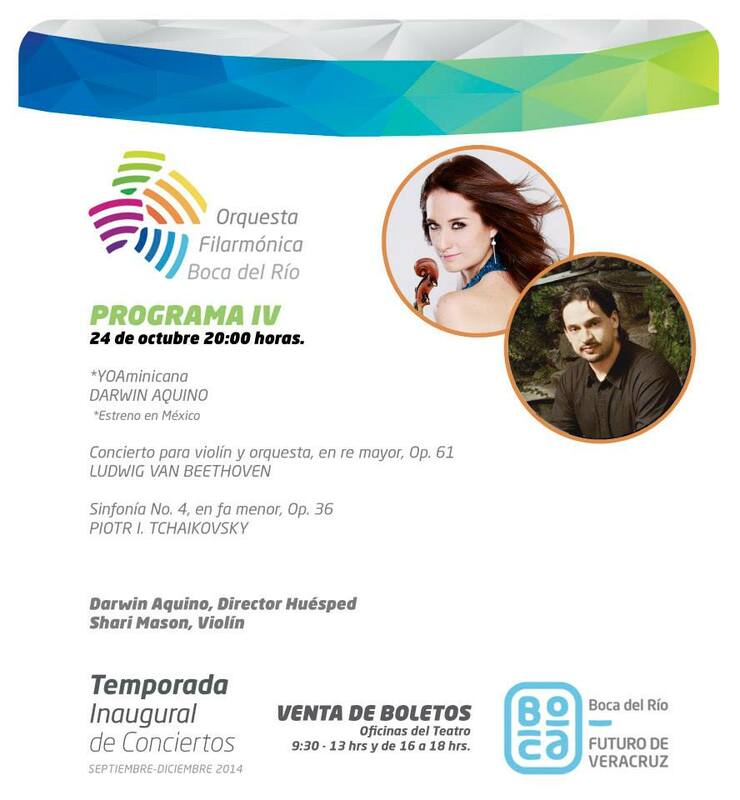 Darwin Aquino will join Orquesta Filarmonica Boca del Rio in Veracruz, Mexico, as a guest conductor for their 2014-2015 concert season. One of his most played pieces, YOAminicana (2010) for orchestra, is being premiered for the first time in this country. Mexican virtuoso violinist Shari Mason will perform Beethoven’s Violin Concerto. The program closes with the powerful Symphony No. 4 by russian composer P. I. Tchaikovsky. Friday October 24th, 8:00 p.m.
Fiesta Latina arrives to Germany!